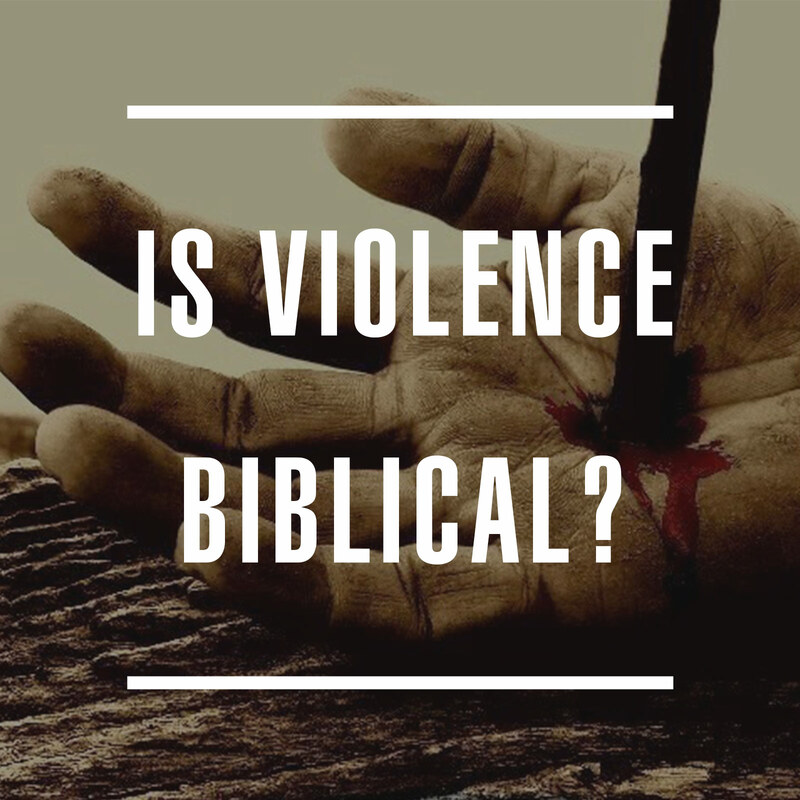 January 26, 2017 | Tags: biblical violence, is violence biblical? Violence is sensationalized in the media day after day. Saw, Final Destination, and Silent Hill movies have made a killing at the box office (pun intended). The Walking Dead, one of the most terrifically gruesome TV shows ever made, is also one of the most viewed. And M-rated video games like COD: Modern Warfare set worldwide sales records that rival many small nations’ GDP. How could gruesome violence ever fit into that framework? Because I grew up in the era of hack-n-slash video games, I’ve struggled with this concept for quite some time. More recently, as I tackled the story of the world’s first murderer, I had to revisit it with some fervor. The last thing I wanted to do was create something perverse, slap my name on it, and put it out to the world. Before I hit “send” on the final manuscript for Cain, I had to make sure my conscience wasn’t seared. The first place to look for direction is, of course, the Bible itself. Seeing as Genesis 4 talks about Abel’s murder, we know that it’s perfectly acceptable to talk about violence. But the point of mentioning the violence in Genesis 4 is to show God’s grace and love, and to juxtapose it with Cain’s evil. So, what if you’re writing a novel, which must give the reader a vivid, multi-sensory experience? Abel’s murder is vague. We don’t know if he used a weapon, or how brutal the murder was. Therefore, to answer the question of how much violence is appropriate to show, we have to dig deeper into Scripture. First, we could look at instances where God commands certain acts of violence. Second, the violent actions of God-honoring people. Like in Judges, where we see one of God’s prophets brutally slaying a fat king. Yikes. That’s pretty disgusting. If we try to argue that graphic detail is only acceptable to make a central point about God, then that last passage pretty much debunks our thesis. What’s the point of saying, “and the fat closed over the blade, for he did not pull the sword out of the belly; and the dung came out,” other than to add detail and realism? Then there’s the next chapter of Judges. . .
And the actions of David, one of the most beloved Bible characters of all time. These passages seem to indicate that detailing violence, even in certain graphic details that don’t play a central role other than to add detail and realism, can be perfectly acceptable. And this doesn’t even come close to the gory detail of blood sacrifices peppered all throughout the Old Testament. Though the Bible says many times that it’s perverse to enjoy violence, sometimes detailing violence is necessary, and even encouraged. “But that’s only in the Old Testament!” you say. Not true. If we shied away from detailing the graphic deaths that the apostles endured, we miss the depth and import of their faith. Stephen had his head smashed in by a rock. Some of the apostles are said to have been crucified upside down. Other early Christians were eaten alive by lions, burned to death, or beheaded. Even more important, the centerpiece of Christianity is built on one of the most gruesome deaths of all time. Just watch the movie The Passion of the Christ, which offers a fairly accurate representation of the sufferings Jesus endured as he was murdered on the cross, and you’ll realize that violence, even graphic violence, is biblical. In fact, without graphic violence, the Christian faith wouldn’t exist at all. If violence is used to emphasize a deeper truth–as it is in Scripture–who are we to criticize? When we really examine the reasons for why violence isn’t acceptable to some, we find it’s mostly because we don’t want to be made to feel uncomfortable. But Christ did not come so that we could feel comfortable. He came to redeem us and to empower us to bear our own cross. The cross is the symbol of ultimate suffering, and we’re commanded to take that suffering willingly. If we don’t, we have no place in God’s family. Yes, there’s much to be said about not glorifying violence or causing an audience to revel in it. But, in the end, that line is so ambiguous that it must be settled between God and the artist. When the world has ended, all our works will be judged by fire. God will lay everything bare. Comment and share! What do you think about violence in entertainment? I was just listening to Scott Hahn’s talk “The Supper of the Lamb.” He brought up an interesting point about Communion. That the Jewish people were told to sacrifice a lamb and then roast and eat it. In the same way, Jesus is the Lamb of God and we remember His sacrifice by eating his body and blood under the consecrated species of bread and wine. When Jesus told the people that they would have to eat his body and drink his blood, he lost thousands of followers. Surely they thought he was asking them to be cannibals! But he tells them four times, “Very truly I tell you, unless you eat of the flesh of the Son of Man and drink his blood, you have no life within you.” He could have said, “don’t worry, I mean this symbolically” and maybe he wouldn’t have lost any followers, but He doesn’t do that. He risked them leaving to make His point. Your post reminded me of that line from C.S. Lewis, I think it’s spoken by Aslan in the L,W, and W series. “Not safe, but good.” Christianity is anything but safe. But God is good. And because He made us, we are good.